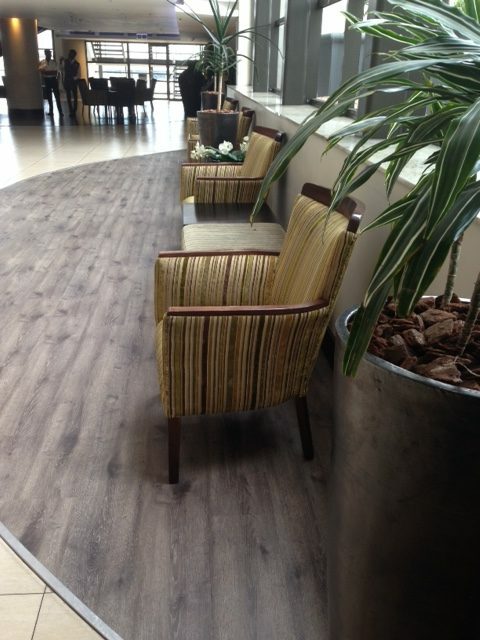 Traviata’s “IsoCore” composite luxury vinyl flooring has been specified for the new City Lodge Hotel in Dar es Salaam. 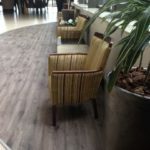 This latest technology LVT flooring offers a number of benefits which are particularly relevant to the hospitality industry. These benefits include sound absorption and a reduction in floor to floor sound transfer thanks to the factory applied underlay. The architects on the project, Boogertman + Partners Architects, chose the product for its ability to protect against scuffs and abrasions because of the enhanced ceramic bead within the wear layer. Consultant Jane Egberink was also able to easily incorporate the rich surface texture and natural appearance of the high definition visuals and extra-large plank format into the overall design effect. 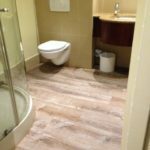 The floor planks are treated top and bottom with an antibacterial / antimicrobial agent, thereby giving the hotel peace of mind regarding all the possible contaminants this environment. Traviloc IsoCore is totally waterproof, stain resistant and has a natural timber finish which will make on-going cleaning and maintenance a simple task. 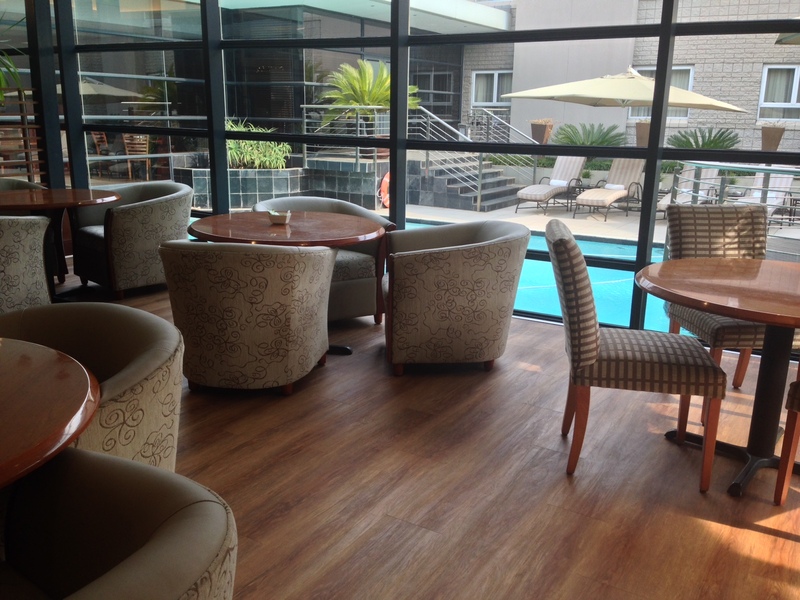 Other City Lodge group projects where Traviloc & IsoCore products have been installed include its very busy OR Tambo and Barbara Road Hotels, as well the Durban and Maputo Hotels. 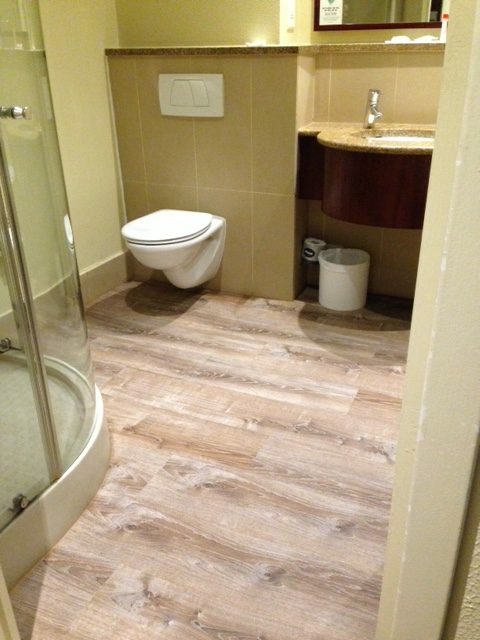 The OR Tambo Hotel has chosen to refurbish some bathrooms with Traviloc 5.0. This product was specified because it is warm and quiet underfoot, totally waterproof and has excellent slip resistance – even when wet. 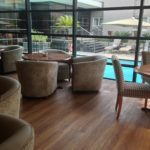 IsoCore was also installed in the reception area & bedrooms of the OR Tambo Hotel as well as in the bedrooms in both the Durban & Maputo Hotels. 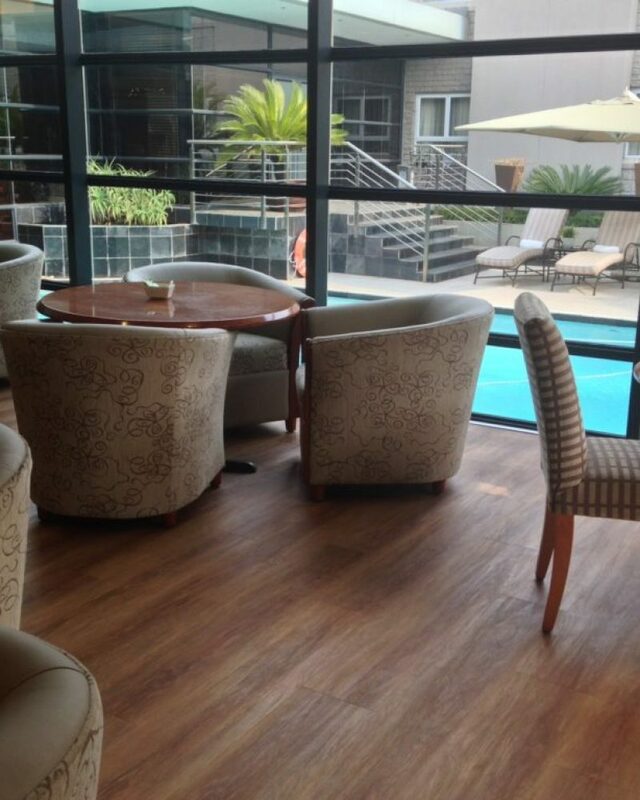 At the Barbara Road Hotel, Traviloc 5.0 was used in the reception, dining and lounge areas. Besides the aesthetic and acoustic characteristics of these products, a key consideration in these very busy operations was the speed of installation. Both products use the new “TopLock 100” system on the short end joints, which according to the Sawyers team, gives at least a 30% timesaving on installation. This combined with the fact that almost no extra floor preparation is needed when upgrading, means that downtime is reduced from days to just hours and floors in rooms can be refurbished in just one day.